The statewide conference will attract leaders, policy makers, entrepreneurs, artists and innovators to connect, collaborate, and create opportunities for economic development. More than 400 people from Maine and beyond are expected to attend conference related events in the midcoast. The theme of the conference is "Imagining Trust." Why “Imagining Trust?” Recent research studies have indicated that success in small business and the arts is less about unique and motivated individuals but more about the social networks and trust that exists within the communities in which they operate. 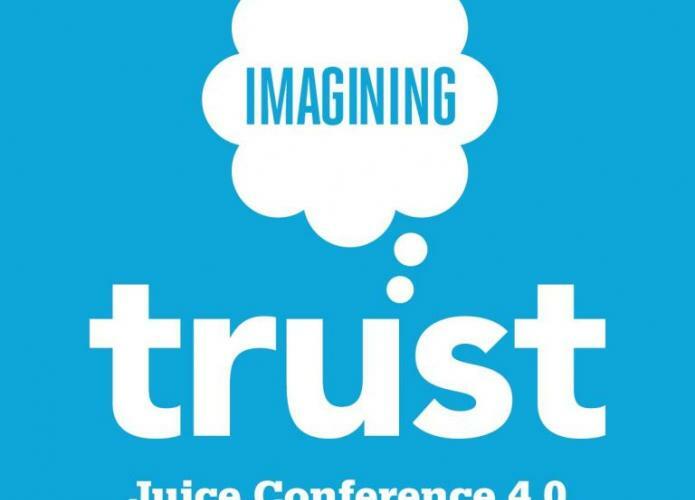 As a follow-up to the Juice 3.0 Conference, which delved into “Celebrating Risk”, Juice 4.0 will have participants “Imagining Trust “and exploring the idea that community is key to creating an atmosphere where risk-taking can be undertaken. With support from our partner organizations, Juice 4.0 will feature programming that will energize, educate, and motivate conference attendees and encourage cross-pollination between the areas of Arts & Culture, Community Development, Sustainability, Entrepreneurship, and Technology/Innovation. The conference will include plenary speakers, performances, a business plan pitch competition, small group discussions, and networking opportunities held at the Strand Theatre and other smaller venues in downtown Rockland. The Juice Conference is a production of Midcoast Magnet with partnership from Bangor Savings Bank, Blackstone Accelerates Growth, Maine Development Foundation, the Maine Arts Commission, Maine Technology Institute, and Pica Design + Marketing.